Open to the public, this panel discussion features four speakers of diverse backgrounds including an architect, entrepreneur, historian, and philosopher. 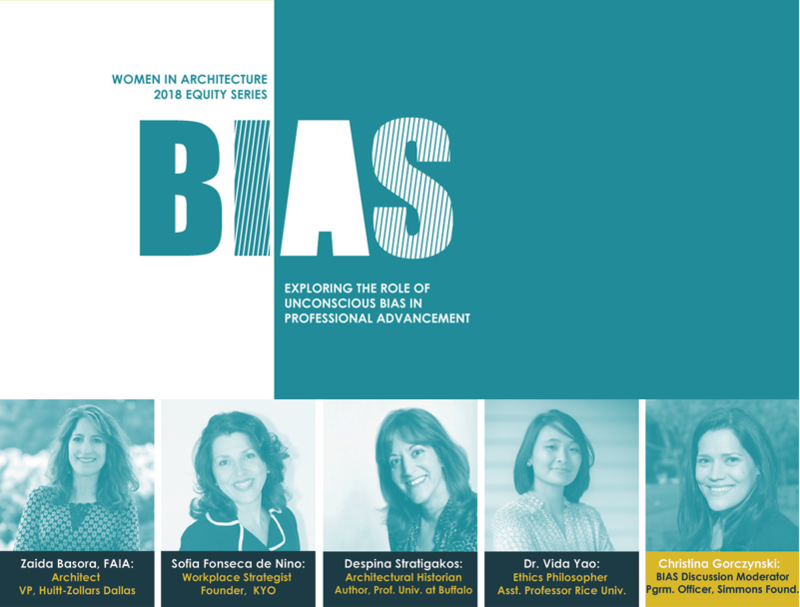 Sharing their own research and experiences, the panelists will begin the BIAS conversation with Short TED style talks followed by a moderated discussion and questions from the audience. Registration is required. Registration for BIAS Panel Discussion does not provide registration to BIAS Workshop. Registration will close on Mar 1 at Noon. Tickets will be available for purchase at the event. This session was approved for 2.0 LU credits.